It’s The Indie Shop Today! 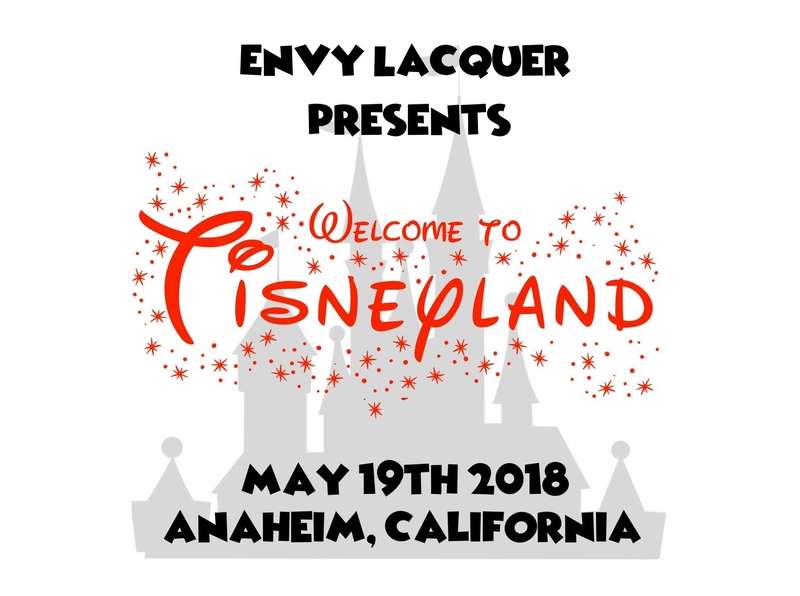 While I’m thrilled for those who will be able to take it all in at the event in Anaheim, California, I’m even more thrilled for preorders! 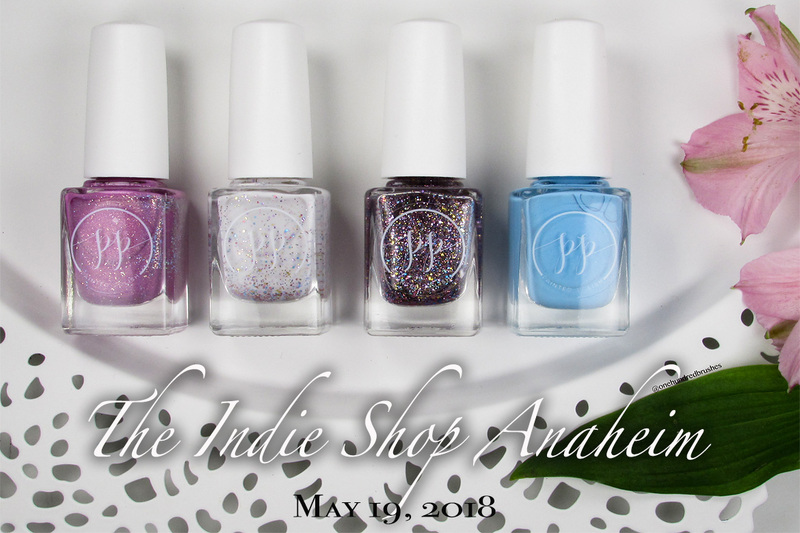 Lexi from Painted Polish will also be offering a preorder of her limited edition quartet for those of us unable to make the trek to Cali. Lexi was inspired by the classic tale of Cinderella and her Tisneyland Quartet is ever so sweet! Our carriage awaits! 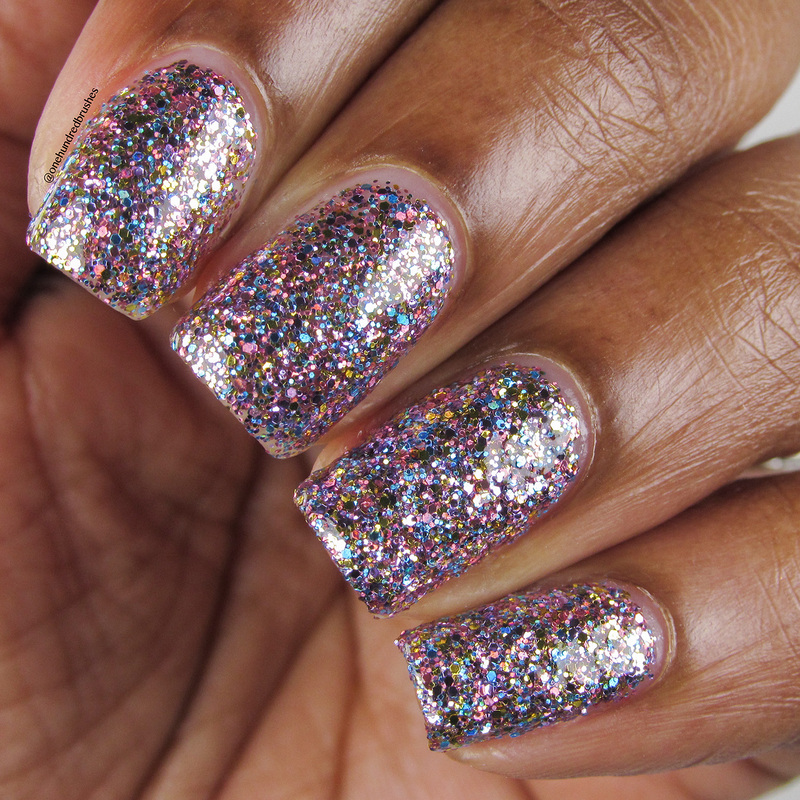 Pretty, Pretty, Prince Charming is a sweet and creamy mauvy pink holo with larger silver holographic glitters scattered through. This a very, well, pretty, cool toned pink polish leaning slightly toward orchid on me. I’m wearing two coats with a glossy top coat. Aww Yis, a crelly! 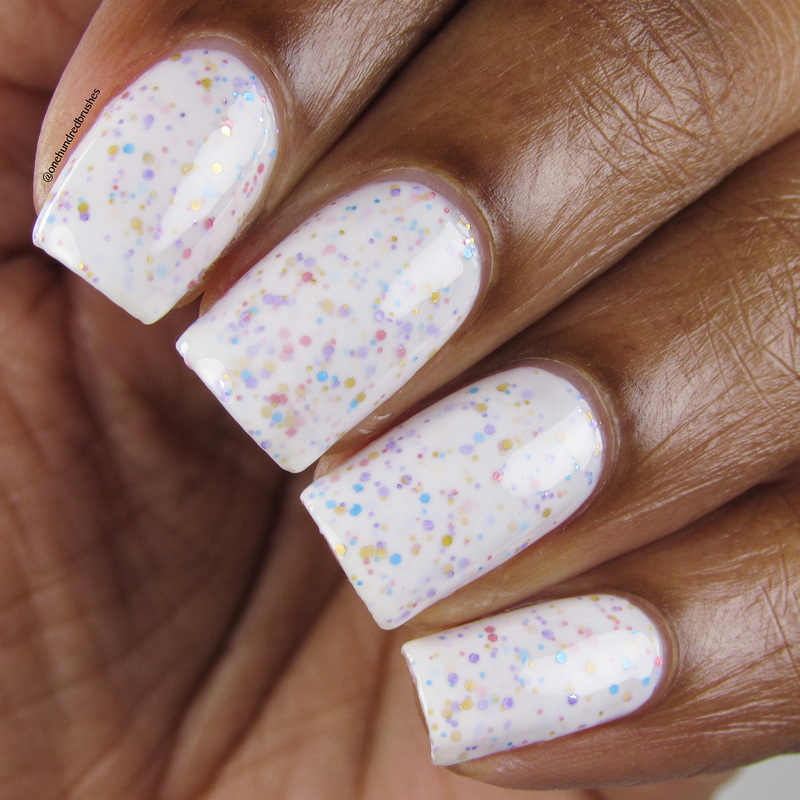 Glass Slipper Showdown starts off in a creamy white crelly base and presents a mixing of pink holo, sky blue holo, lavender, and gold glitters. I quite enjoy the mix of colors in the glitters here. They are generous and easy to work with. 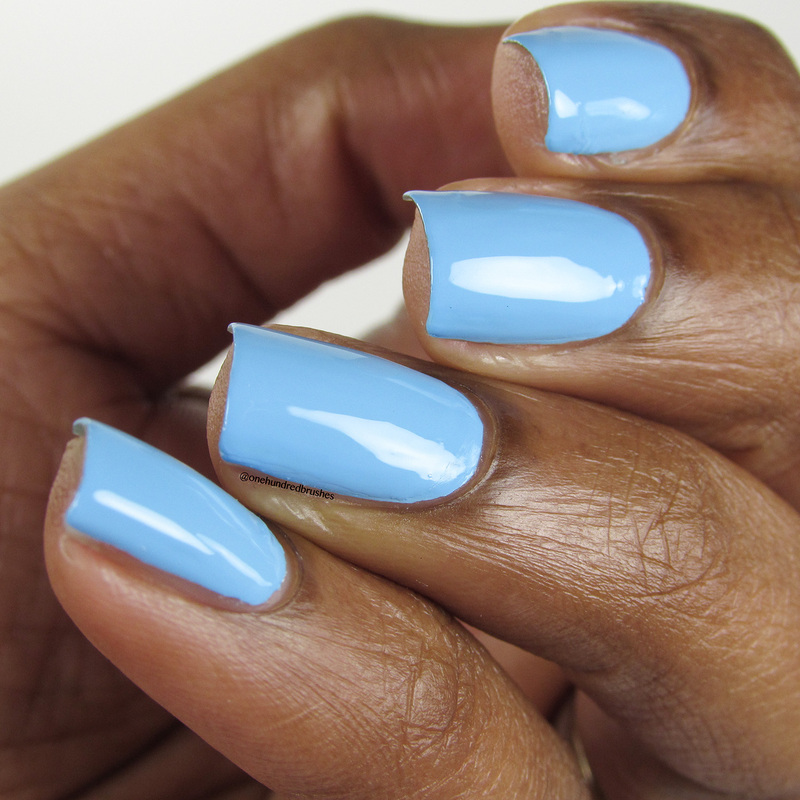 The polish does dry to a bit of a textured feel and requires a few extra seconds of soaking for easier removal. I’m wearing two coats with a glossy topcoat. 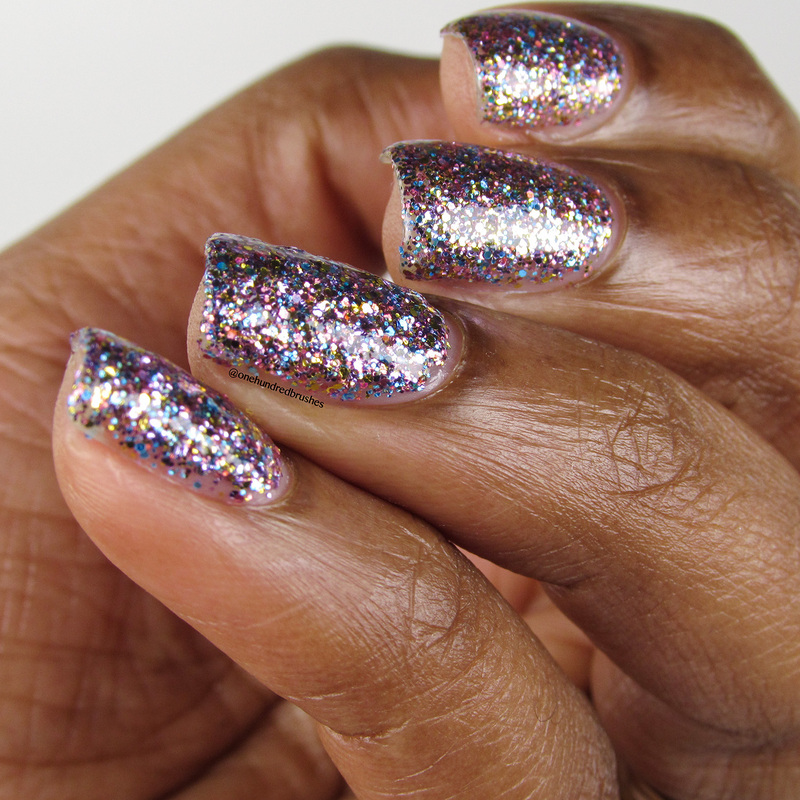 Glitter Godmother is a glitter bomb featuring the same mix of hex glitters in Glass Slipper. 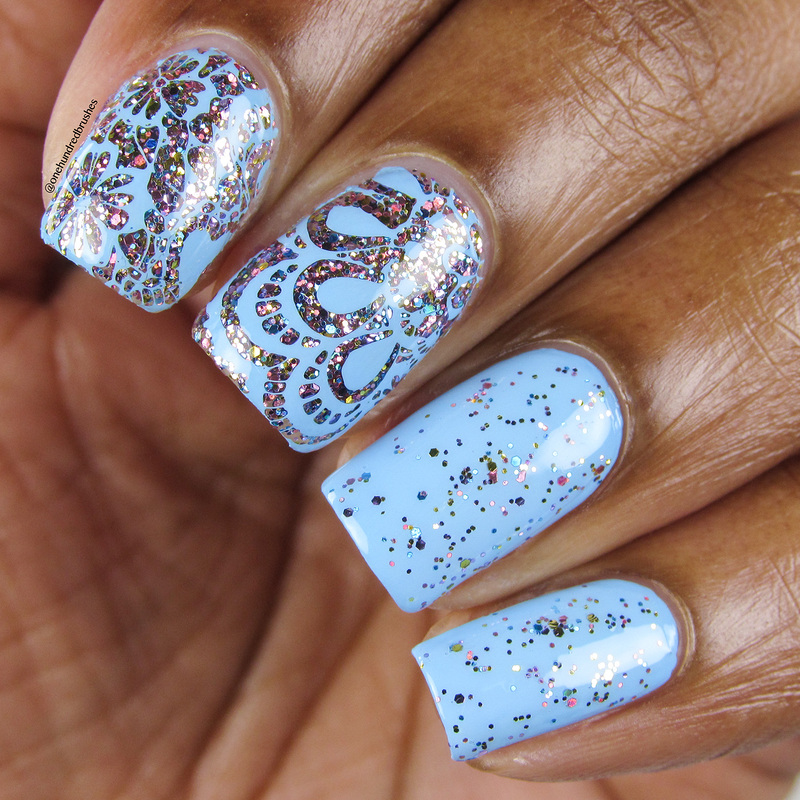 These pink holo, sky blue holo, lavender, and gold glitters are densely suspended in a clear base. On my pointer and middle, I used four coats while on my ring and pinky, I sponged on three times then brushed over once. 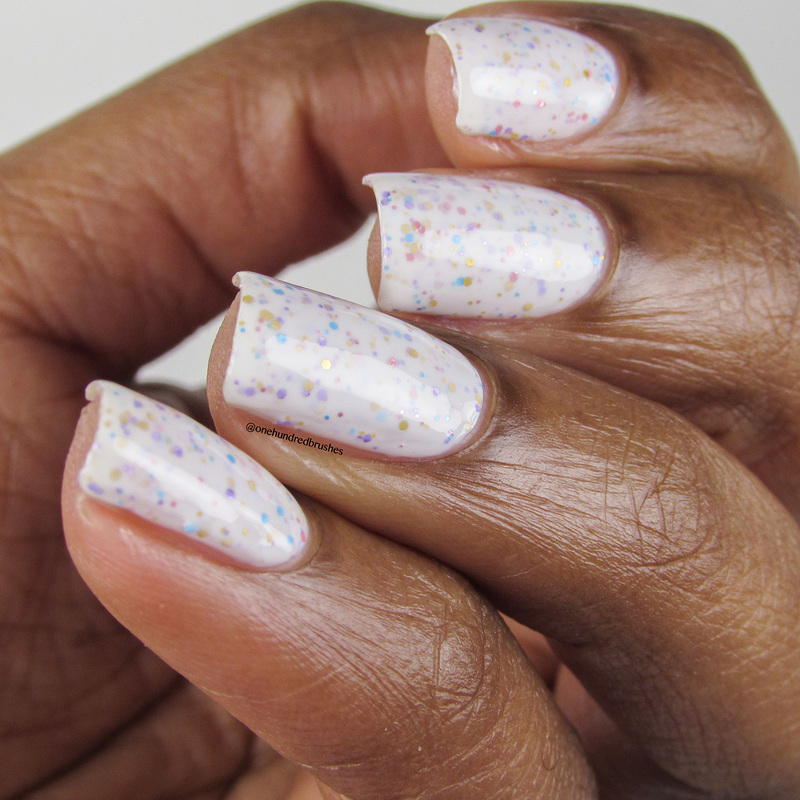 The glitters on the sponged on nails are packed denser and don’t appear as evenly surfaced as the traditionally applied way but this method is always quicker for me. Two coats of glossy topcoat were needed to smooth things out. I used Stamped in Cinderelly (more on this one coming up) to get this lacey image over Glitter Godmother. 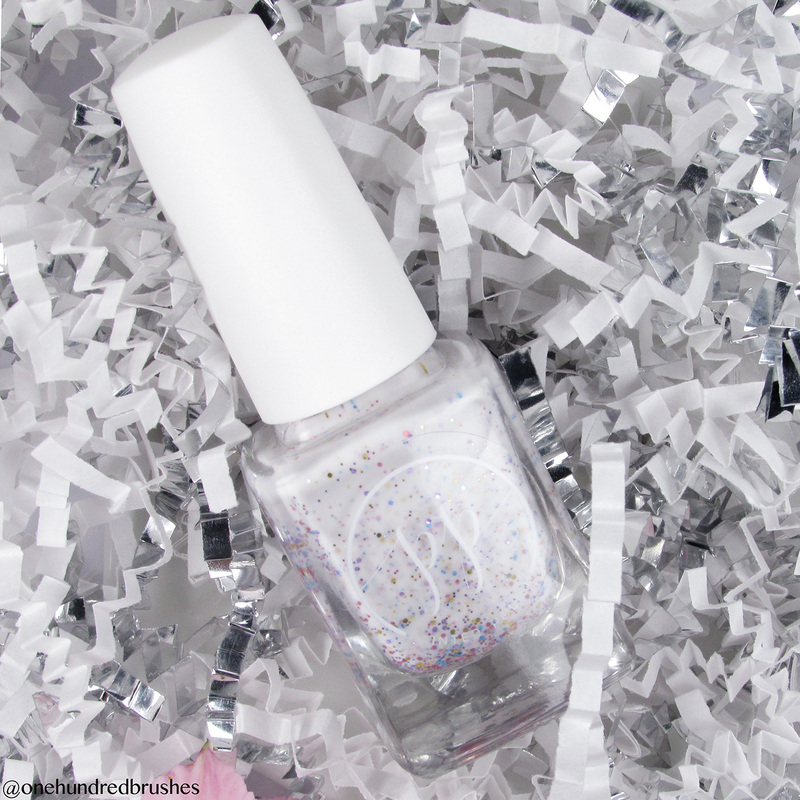 Over Cinderelly, one brush of Glitter Godmother adds a little touch of sparkle. The stamped image is from Bundle Monster plate BM XL206. 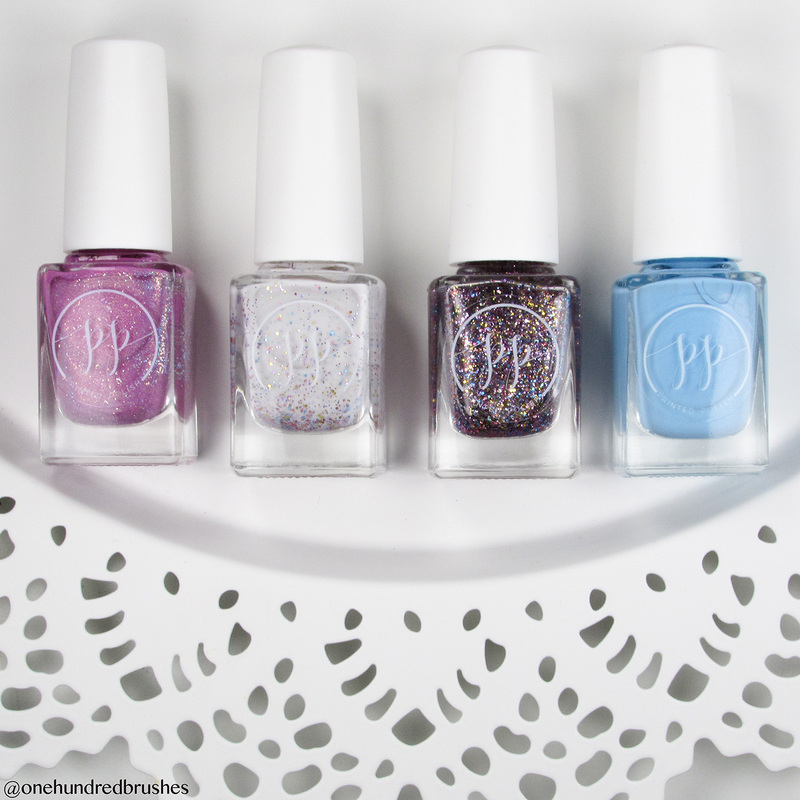 One of the many things Lexi is known for is her stamping polishes. 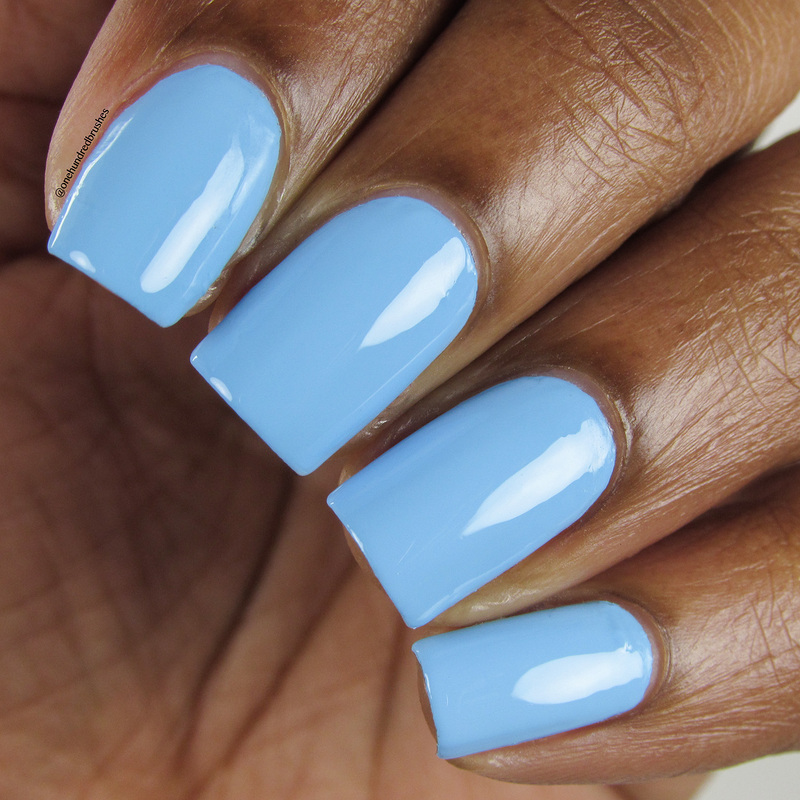 Stamped in Cinderelly joins the lineup of ridiculously pigmented one coater polishes, this one in a cheerful sky blue shade. 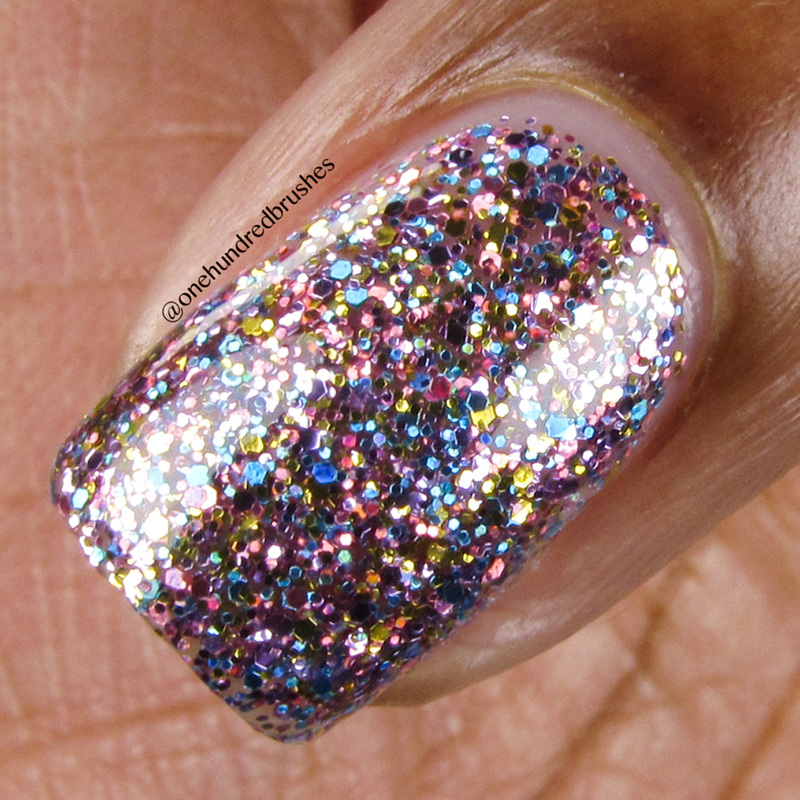 The formula runs a bit thicker than your usual polish but I still found it easy to work with. 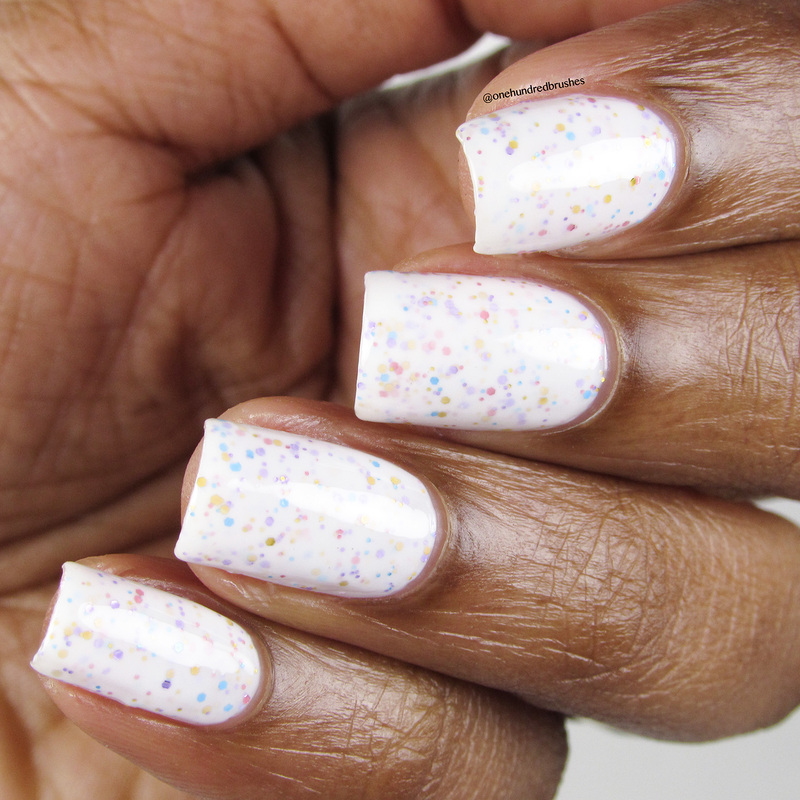 This is one coat with a glossy topcoat. 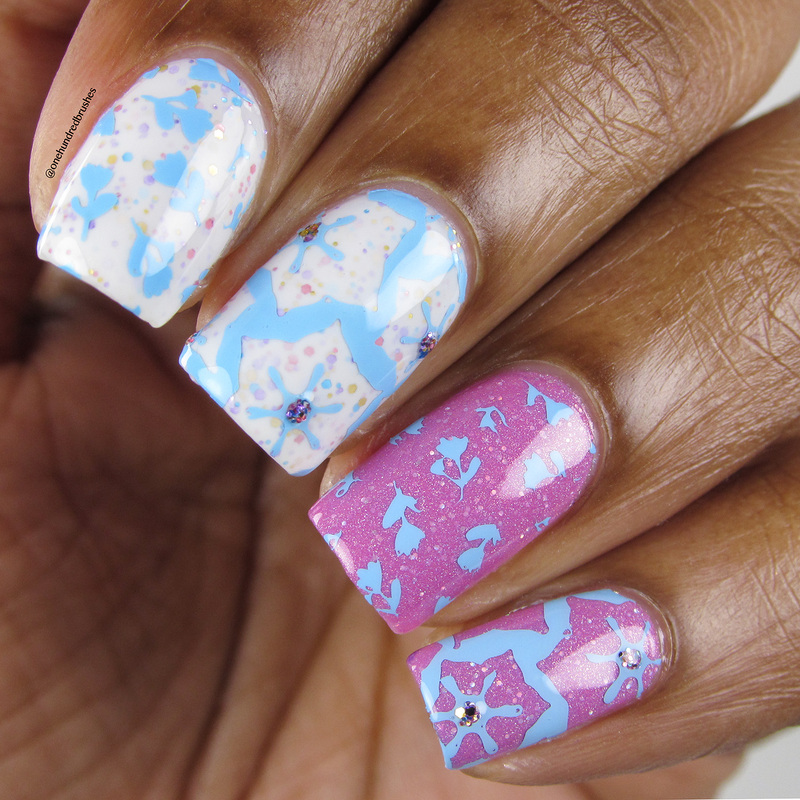 This floral look features all the polishes in the Tisneyland Quartet by Painted Polish with images from Lina plate 23-02. 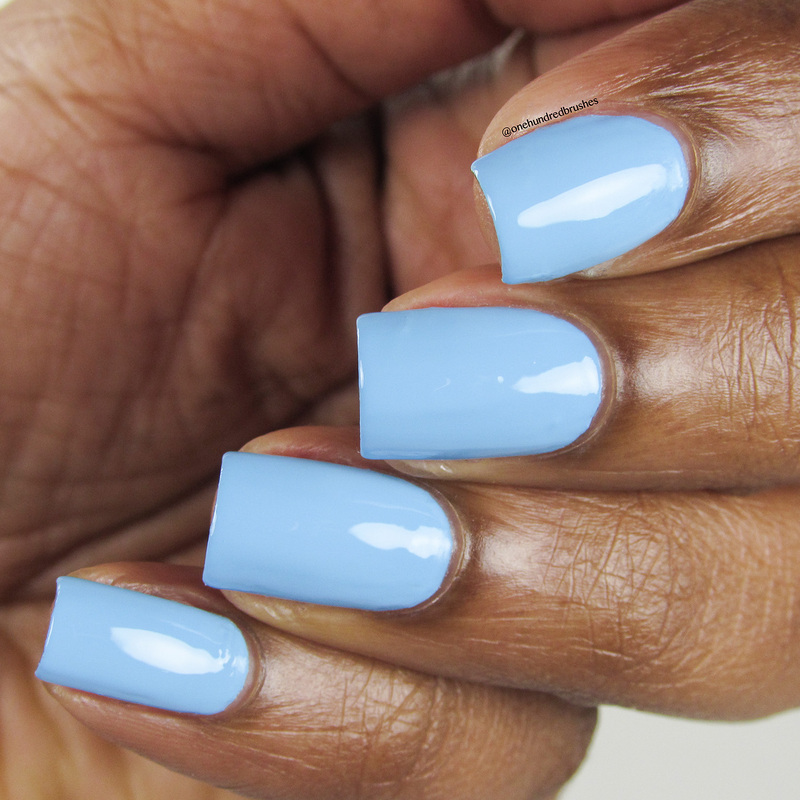 These are topped with a glossy top coat. I’m really pleased with how they turned out! Available at The Indie Shop on Saturday, May 19, 2018. Tell me, what do you think of this quartet? Are you a Cinderella Fan? 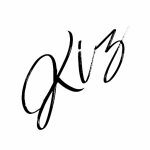 Love this review, you swatches and nail art Kiz!